These charming DIY pipe cleaners snowflake coasters are perfect for holiday entertaining! They’re easy to make and a cute way to add a little holiday decor to your table! They’re easy to make and a cute way to add a little holiday decor to your table!... From there, cut pipe cleaners as long or as short as you would like, and twist one end to the middle of the first two original pipe cleaners, about 3-4 on each side. These will make the spokes of the snowflake. Make two more snowflake arms like you did above. You will want a total of three arms. You will want a total of three arms. Place the three folded pipe cleaners on top of each other.... Stack the three oval pipe cleaners together. Then, holding each end, twist all three of them together in the center. Finally, fan out the ends to make it a snowflake shape. From there, cut pipe cleaners as long or as short as you would like, and twist one end to the middle of the first two original pipe cleaners, about 3-4 on each side. These will make the spokes of the snowflake. 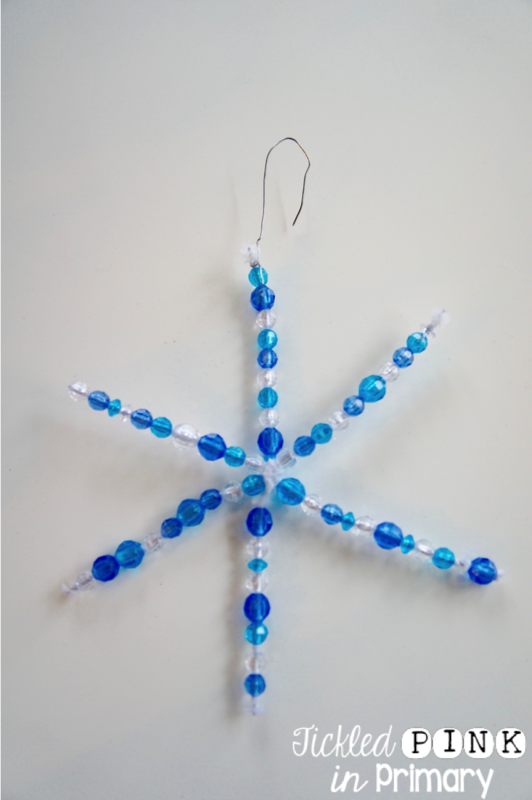 For the other snowflakes get various sizes of pipe cleaners and twist around the ends of the snowflake stems. You can twist around and them trim off with scissors. Or you can cut and measure all of them beforehand and then twist them on. 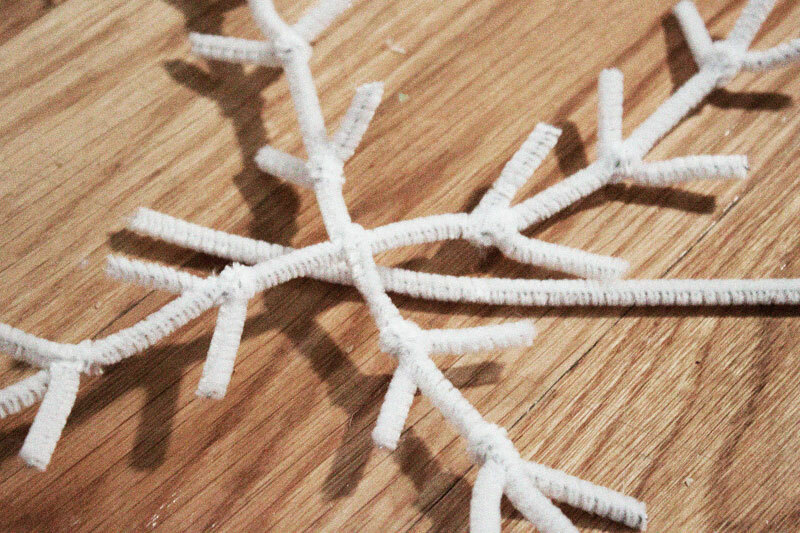 These charming DIY pipe cleaners snowflake coasters are perfect for holiday entertaining! They’re easy to make and a cute way to add a little holiday decor to your table! They’re easy to make and a cute way to add a little holiday decor to your table!